Not a healthy living blogger. Tried that. I’m happiest with a race to work towards. Here you’ll find my experiences training for marathons, triathlons, and in 2018 an Ironman. Lots of tips for beginners to running, racing and triathlon. And, in an attempt to be experimental – you’ll also find posts where I test out some of the latest fitness fads. Always a laugh, never an impact to lifestyle. The days are short and there are loads of social engagements during the month of December. Between Christmas parties, family meals and gatherings the holiday period can leave us feeling overfed and sluggish. In England, celebrating the holidays is a motion that lasts the entire month. It’s always difficult for me to find the right balance. I have to remind myself that the priority during the holidays is sharing time and creating memories with people you care about. Time at the gym will have to take the hit and that’s fine. But I do have a few tips that will help you to stay feeling fit through the festivities. Well if it’s not here already (it snowed in London yesterday), Winter is coming… and it’s coming fast. Today I’m sharing with you some tactics I use to get outside for a run during the cooler months. This post is dedicated to everyone starting to run or even just considering it, but especially dedicated to my Mom who I am so proud of! Mom started running in June this year and has worked her running time up, step-by-step at her own pace. 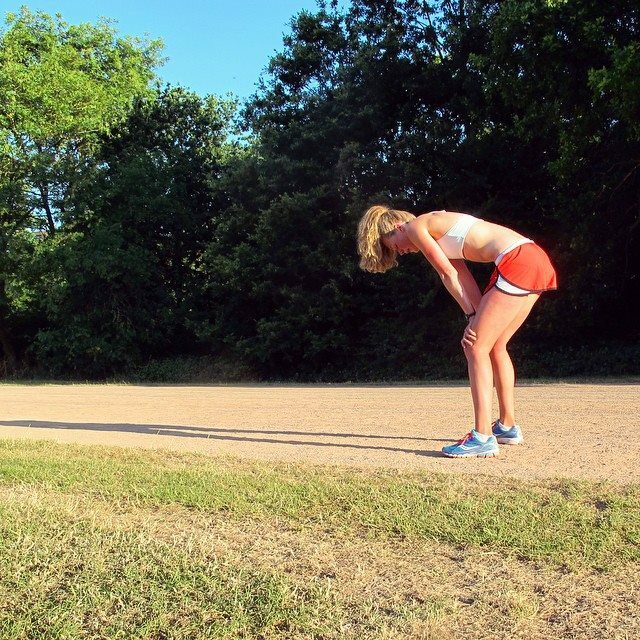 Here are my tips to beginner runners… what to expect and why you should give it a go! Since Ironman 70.3 Zell am See, I’ve felt a little lost. This was my last race for the year and my main focus for months…. so now what? It’s such an anticlimax when your ‘big race’ is all of the sudden over. You cross the finish line feeling motivated and excited for the next race, but then there isn’t one… I’ve experienced the same thing with rowing; all of the sudden the season is over and you have time and energy again. If only I knew what to do with it! Before I jump back into goal setting and training towards something, I think I’ll learn to enjoy this thing called ‘time’ first. My true challenge will be finding a healthy balance without a race to work towards. This Aquaphysical class was the perfect kick start for me. IT WAS HILARIOUS – a 30 minute HIIT class on water. We were either laughing, smiling or sticking out our tongue trying to balance for the entire class. When you’re training for triathlon it’s much easier to feel confident with swimming, biking and running as separate disciplines because that’s what you’ve been practicing. But when a race comes up, putting it all together and sorting yourself out in transition can feel a little foreign. I have a few friends with their first triathlon coming up – this post is for you! 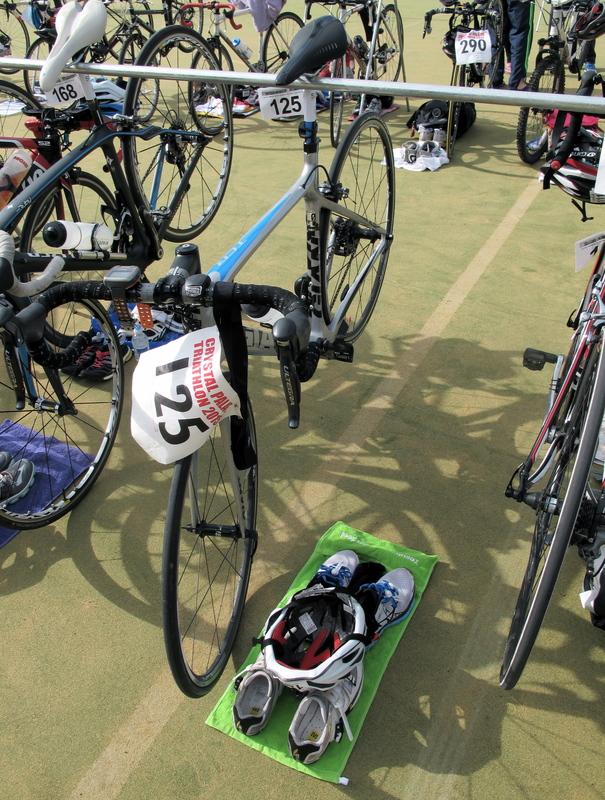 Here are some tips for the transition area. This past week of training has been really tough. My energy levels feel low and as a result I’m not feeling very motivated… It’s been quite the contrast over the past 2 weeks actually. Two weeks ago I was feeling strong, excited and I felt like my half ironman training was really coming along. This week the weather has cooled off and with it, so has my motivation. Now this is going to sound silly… but I honestly think that getting through the past few early morning training sessions comes down to two things 1) determination and 2) Nespresso (mainly Nespresso). My morning ritual: 5:15, the alarm goes off. 5:16, Zombie walk to the Nespresso machine. 5:17, the Nespresso machine is on. 5:18, two Lungo’s made and brought back to bed (one mine, one Dan’s). 5:19, debate going back to sleep. 5:25, we finish our drinks, we get up and go. I recommend Nespresso for anyone who drinks coffee and has early morning commitments. It’s quick, it’s good coffee and give your sleepy eyes less than 10 minutes, you’ll be up and ready to take on the day. The worst part is getting up to grab your cup… in extreme circumstances I’ve debated putting our Nespesso machine at the bedside table even! As you can see… I’m pretty dependent on coffee; so lets talk about the benefits coffee when training. 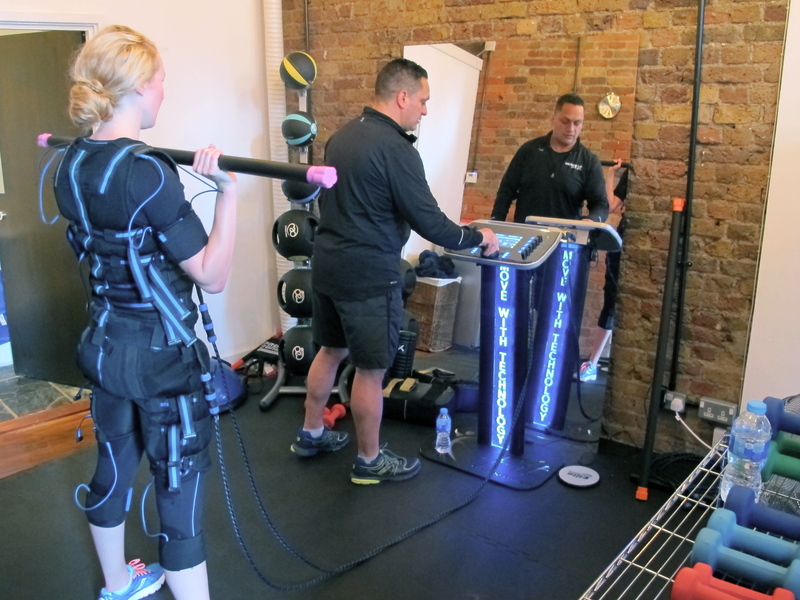 Have you ever heard of EMS (Electric Muscle Stimulation) training? Well the guys over at Exerceo Training got me suited up for an EMS workout and taught me all about it.